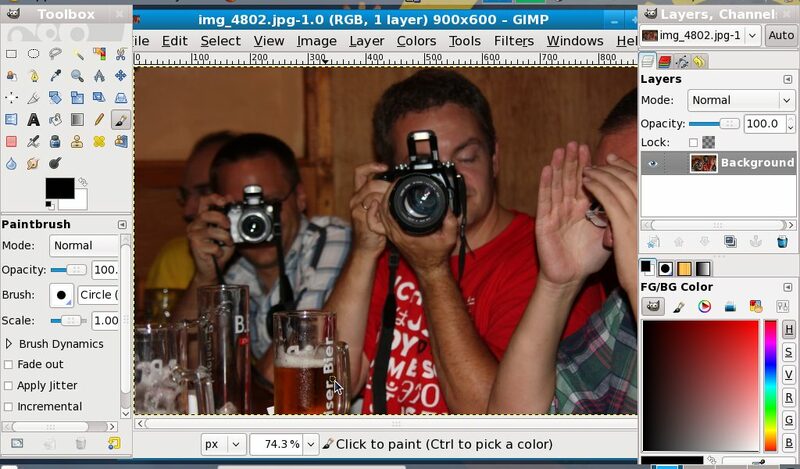 In somewhat related news here is a screenshot of the new GIMP 2.6, installed from a F10 package lifted from Koji (thanks Nils! ), running on my EeePC. Neat.... one more reason to jump soon to Rawhide on the desktop too.